John Schneider, in a fit of rare, on-the-record candor for an NFL general manager, confirmed this morning that all those Richard Sherman trade rumors are true. The obvious rejoinder for a lot of NFL fans is: Why? Sherman has been a cornerstone of the sustained success the Seahawks have created in recent years, and he’s still playing at a pretty high level, though there have been some slight signs of decline. Per Pro Football Focus, quarterbacks had a passer rating of 63.8 in the 2016 regular season when throwing at Sherman, which ranked sixth in the NFL among cornerbacks with at least 355 coverage snaps. 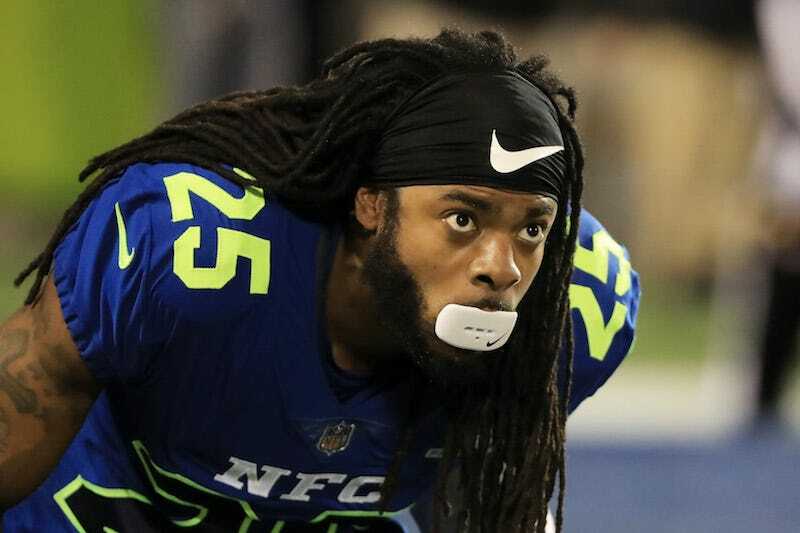 Sherman also averaged 7.7 coverage snaps per target, which was good enough to rank eighth. So, check that: Sherman is still a cornerstone of the Seahawks’ sustained success. But in a salary-capped world, a big part of what allows NFL franchises to thrive for the long haul is timing, and timing is about knowing how to get the most value out of proven players, and sometimes maximizing their value means trading them while they still have gas in the tank. Sentimentality, though important to fans, has no place in future roster management. The Patriots, Packers, Ravens, Steelers, and—yes—Seahawks have all operated this way for several years, to varying degrees. Sherman has two years remaining on his contract, with cap hits of $13.6 million in 2017 and $13.2 million in 2018. He also just turned 29. Sherman may indeed have the most value of any of the players listed in the tweets above, but that also means he has the most trade value. It behooves the Seahawks to see what sort of assets they could get in return for moving Sherman, especially with this year’s draft class so well-stocked with cornerbacks and safeties. Remember, too, that the rookie wage scale locks in four years of low-priced cost certainty for teams. If the Seahawks think they can land a cheaper version of the next Richard Sherman now, why keep the real Richard Sherman, especially when they might be able to flip him for the chip that might help them land his replacement? In other words, trade discussions like this one happen all the time; we just rarely hear about them. The only thing that really distinguishes the Richard Sherman trade talks is Schneider’s willingness to let the public know they’re happening. Richard Sherman To Seattle Radio Host: "I&apos;ll Ruin Your Career"